Can an Accidental Death Result in Wrongful Death Liability? The basic legal premises behind a wrongful death lawsuit in Florida are simple: those that cause the death of another person through careless or negligent (or worse) conduct can be held responsible for the losses and expenses experienced by the decedent before his or her death (such as the decedent’s final hospital bills) as well as by the decedent’s surviving family members. However, does liability attach when the possibility of the decedent’s death does not appear to have been contemplated or considered by the wrongdoer? Even under such circumstances, the answer is probably yes. For illustrative purposes, consider an individual who picks a fight with a rival and punches that rival in the nose while in a parking lot. The individual hits the rival with greater force than intended, sending the rival stumbling backwards. The rival falls and hits his head on the pavement, causing severe head trauma that ultimately kills the rival. Even though the individual may only have intended to cause injury to the rival and not the rival’s death, the individual may yet be responsible for the costs and expenses associated with the rival’s death. One of the determining factors in a wrongful death lawsuit is whether the death of the victim was foreseeable to the allegedly-negligent party. If there was a risk that the course of conduct engaged in by the allegedly-negligent party could result in the decedent’s death and the allegedly-negligent party continued in that course of conduct, he or she will be held responsible for the decedent’s death. A punch to the face – especially when the fight occurs on a hard surface – can conceivably result in serious injury or death to the victim, and so the individual in the example will likely be held responsible for the rival’s death. As in any other personal injury case, however, a person will not be held responsible for the death of another person if there are one or more intervening causes that break the “chain of causation” linking the at-fault party’s actions to the decedent’s death. In the example above, for instance, if the rival survived the punch but then contracted a deadly illness while he or she was recovering at the hospital, the illness may be considered a sufficient intervening cause that alleviates the individual from responsibility for the rival’s death (the individual may still be responsible for the harm that he or she directly caused, however). 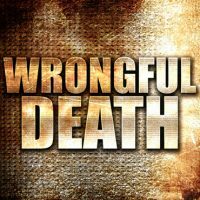 Surviving family members of decedents who died due to the negligence or carelessness of another should contact an experienced and resourceful Florida wrongful death attorney from Roman & Roman as soon as possible. You and your family may be entitled to compensation for the expenses you have incurred and losses you have experienced, but you must act quickly to protect your rights. Call Roman & Roman at 877-767-1032, or contact us online for prompt and professional help with your wrongful death case.